Richard Wright, keyboardist, songwriter and occasional singer with Pink Floyd, has died from cancer, according to his spokesman. Wright was a founding member of the group, who found fame in 1967 with their debut The Piper At The Gates Of Dawn. 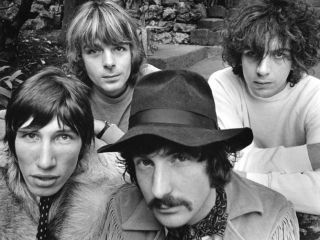 Wright met fellow Floyd-founders Roger Waters and Nick Mason whilst studying at Regent Street Polytechnic, London, and the three founded the band - originally called The Pink Floyd Sound - along with flat mate Syd Barrett. Wright, who played keyboards (and occasionally woodwind) in the group was a key part of Pink Floyd's songwriting team in the early Floyd days. He wrote with the group on all the band's early releases, both before and after the departure of band leader Syd Barrett, including their massive 1973 breakthrough album Dark Side Of The Moon for which he penned The Great Gig In The Sky and co-wrote Us And Them. He also regularly sang and, alongside David Gilmour, tracked vocals on Floyd's seminal 1971 track Echoes. Wright resigned from the group in 1979, but after a three-album break from the band, Wright re-joined as a full-time, writing member of Pink Floyd for 1994's The Division Bell, on which he co-wrote the Grammy Award-winning instrumental Marooned, among others. In recent years he was part of the famous Pink Floyd reunion at Live 8 in 2005, which saw Waters, Mason, Gilmour and Wright sharing the same stage for the first time in decades. Wright had been touring live with David Gilmour's band, playing keyboards and also singing on Arnold Layne and Comfortably Numb. Gilmour's Live In Gdansk album, featuring Wright on keyboards and vocals, was released in September. In a statement on his website, David Gilmour said: "He was such a lovely, gentle, genuine man and will be missed terribly by so many who loved him. And that's a lot of people. Did he not get the loudest, longest round of applause at the end of every show in 2006? "The blend of his and my voices and our musical telepathy reached their first major flowering in 1971 on Echoes. In my view all the greatest PF moments are the ones where he is in full flow." Gilmour added: "Like Rick, I don't find it easy to express my feelings in words, but I loved him and will miss him enormously." A short statement from Wright's spokesman said: "The family of Richard Wright, founder member of Pink Floyd, announce with great sadness that Richard died today after a short struggle with cancer. "The family have asked that their privacy is respected at this difficult time." For a glimpse of Richard Wright's talent, watch Pink Floyd Live At Pompeii, playing (Echoes Part 2), and a documentary clip on the making of The Great Gig In The Sky.